Five friends, who are all 20-years-old, leave their home for different reasons and begin to live together. 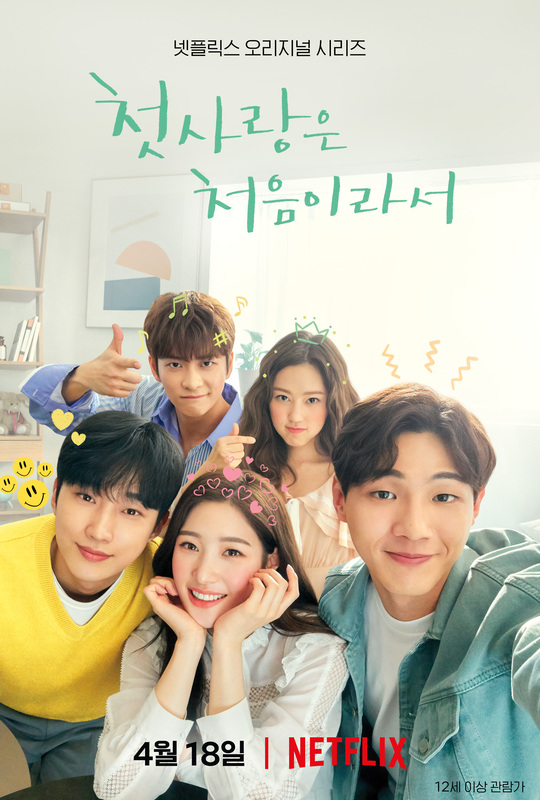 The five friends are Tae-O (Ji Soo), Song-Yi (Jung Chae-Yeon), Do-Hyun (Jin Young), Ga-Rin (Choi Ri) and Hoon (Kang Tae-Oh). Tae-O and Song-Yi have been friends since they were very little. Do-Hyun is Tae-O’s friend. Song-Yi and Do-Hyun have feelings for each other. First teaser poster and still images for "Because It's My First Love." Alaa Apr 22 2019 8:32 pm I really hope Ji Soo will get the girl. I like Jinyoung very much but i really hope Ji Soo will get the girl. H.A Apr 21 2019 3:09 pm When i watch this drama I'm so verry exited because Ji Soo is the led male, but i'm suprised because Jin Young is in this drama too. I'm happy because Ji Soo be the lead male, in another dramas he always be the second male actually Page Turner, and i drama he always be broken heart guy and can't have his love(I'm sad when i watch Ji Soo like that) but that make me hope because he is the led male, but in another space i see Jin Young as the second male, he's like Ji Soo in anothe drama he always be second lead and be broken heart guy too, same with Ji Soo, but in this drama he is the Good guy and can have the love of the famele lead, i like that because they match to be couple, but in another space i thik "Why is the lead male not together with the lead famale?" Because in another drama the second male and lead famele always can to be couple. H.A Apr 21 2019 2:53 pm I need more episode and i need more season. I this the story has not finnish and I thus this drama remake from another story because i see something in the end of every episode like spain version. 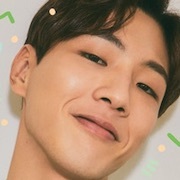 Loume Apr 20 2019 11:29 pm Like I love Jisoo, and I'm happy that he got a first Male lead role. But I'm rooting for Dohyun to get the girl. The second Male lead character is always so much better then the lead Male character in these kind of dramas that it's refreshing for once to see the better guy get the girl. myfirstfirstfakelove Apr 20 2019 9:47 pm For those that are wondering, this series has 16 episodes in total which all have been filmed already (from September 2018 to January 2019). This means that the next 8 will be released within the second half of this year or next year. atavya Apr 20 2019 9:03 pm is it adaptation of the drama 'My First Time' which starring by SHINee Minho, Park Sodam, Kim Minjae, Lee Yikyung, Jo Hyejeong, and Jung Eugene? N Apr 20 2019 5:28 pm What the fc is this ending?? There is going to be season 2 right? peaceminusone Apr 20 2019 1:57 pm The ending?? Yona Apr 20 2019 9:30 am It's the same as the drama played by Choi Minho (2015) with the same title that was aired on the Onstlye channel. But its good to watch again with different aktor with same character. Its more fresh. Heartbreak Apr 20 2019 5:32 am Hope season 2 out soon. This drama make me dying. kikiki Apr 19 2019 11:54 pm pls season 2!!! 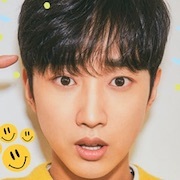 auco Apr 19 2019 11:49 pm Didn’t know if I’d like this drama or not, but it was really refreshing and surprisingly good. I like the casting of the main characters, they fit just right for the role. Very light-hearted, but definitely worth the time. Can’t wait for season 2! Gosh I’m still heartbroken at the ending even thinking about it omg Ji Soo..
heypichii Apr 19 2019 10:26 am I watched this because of jinyoung and I was totally not disappointed! he gave me butterflies from his every scene. 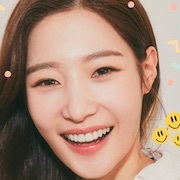 I love choi ri's character too she's so cute! a little disappointed with the female lead.. I prefer the old one. she's pretty and good at acting tho. Roxbel Apr 19 2019 3:13 am Honestly, I was so excited to watch the K-Drama, especially since FINALEMENT Jisoo would get the girl. The entire first season is out on Netflix, and I watched the first 3 episodes. By the second episode, I was already skipping through. The main girl's character is so annoying, I can't stand her. Maybe the way it was written, because usually I sympathize with the main girl and cry with her. But in this one, I feel like she is the typical cliché, my parents are dead and all. It's so repetitive and it wasn't even done well in my opinion, she just annoys me how every 5 seconds we have to go back to her sob story. Annoyingly, despite Jisoo being the main lead, he doesn't even have the full interest of the girl and from the first three episodes she mainly has heart fluttering scenes with the other guy called Do-Hyun. I don't know. I'm just disappointed. I've watched This Is My First Time ages ago but I was 100% willing to give it another chance, and I enjoyed My First Time. This one is just a horrible copy of it. Jae Apr 18 2019 11:12 pm Hmm... it's a remake from Because This is My First Time? I think I'll pass. The only korean drama I rewatch is Full House. I don't think Because This is My First Time is that good to tempt me to watch this again. Niicelady Apr 18 2019 9:24 pm From the first episode this drama gave me "My first time"(2015) vibes (Choi Minho, Park SoDam, Kim MinJae, etc.) it gave me uneasy a plaigirism feelings... Until I googled the two and realised its the same creator for both! I guess this drama is a reboot or maybe a spin-off of the other one but if it ends up being the same as the original...oof. Don't get me wrong, I love "My First Time" but the abrupt ending really rubbed me the wrong way. It 100% should've had more episodes to develop some stuff. I will Continue to watch as I am intrigued to see what continues to be similar and what tweeks they may have made. ellie Apr 18 2019 12:44 pm It's just odd they would have to make a remake so soon. I like this cast. But I loved the original My First Time cast, too. Although, I don't find it completely identical it definitely has all storylines of the original. I'm doing my best not to compare. Although, it's awful hard not too. Alie_jin young's:3 Apr 18 2019 9:16 am I kind of like do hyeon and song i being together, like.. omg! They suit each other perfectly! Srsly, i love jisoo but boy please im almost in the end of this MFFL and i am really really really! Looking forward to do hyeon and song i's relation♥️? eve Apr 18 2019 7:09 am started watching the kdrama. immidiately disliked the girl best friend. idk if it's how the actress acts, or how the character was wtitten. it's good though, has a mix of friends and hello my twenties with the vibrant colors and quirky bgm. Jisu's Little Sister Apr 11 2019 3:45 pm Honestly, this is a really well put together cast. I've been hoping for a series that can continue Hello Twenties's style of youth. Netflix is also the best choice for a drama like this. I can't wait for this. 1004 Apr 09 2019 7:04 pm Really look like minho's drama my first time, just my felling or anyone same mind too?? fieyzahsemaccee Apr 09 2019 12:04 pm If jisoo doesn't get the girl, then Im not going to watch this drama. Huhuhuhu. K.will Apr 09 2019 7:36 am If Jisoo doesn't get the girl even after being the first lead then I'm going to murder people. The Shahrukhee Apr 09 2019 3:57 am All those people who suffer from SLS should be grateful to Ji Soo!! The Shahrukhee Apr 09 2019 3:52 am So the Second lead is going to get the girl this time? All those people who suffer from SLS should be grateful to Ji Soo!! Corey Apr 07 2019 8:06 am Oh no! Is this a remake of the MinHo and MinJae drama?! Please, no! 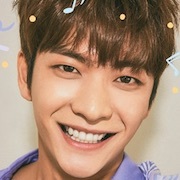 I have a weakness for Kang Tae Oh as I have been followed him since several years already and watched how he has grown up each time. I wish this drama can put him on a string that send him very high in his career and leave a strong impression on people heart. mikyla mathews Mar 27 2019 5:58 pm I can’t wait to watch. But is the remake of the because it’s my first time with Choi Minho and Park SoDam and Kim MinJae. I can’t help but see the similarities between both. This is not hate at all. Just curious.